MOSUL, Iraq (Reuters) - For Iraqi police officer Jassem and his brothers, the battle against Islamic State is personal. The militants captured and beheaded their father, a Shi'ite militiaman, in 2014; before that, the family lost another son fighting the jihadists. "We were able to identify my dad's body by the tattoo on his arm. The head wasn't found. They had also drilled holes in his hands and cut fingers off," 31-year-old Jassem told Reuters on the front line in Mosul as Iraqi forces battle with Islamic State in the city. After the murder, Jassem's youngest brother signed up with the army and another joined a Shi'ite paramilitary group. With a further brother already with the Counter-Terrorism Service, that meant their mother had all four of her surviving sons at war. "Mum wasn't happy," said Jassem, not giving his full name because he works in intelligence. But his brothers still answered the call to arms. "They said Iraq was falling apart, and they wanted to protect it," he said. The family from southern Iraq - far from Mosul which lies near the country's northern border - is just one of many where entire sets of brothers have taken up arms against Islamic State out of revenge, duty or just to earn money. The U.S.-backed Iraqi forces are now set to drive the group from its stronghold of Mosul, taken in 2014 when the jihadists seized large areas of Iraq and Syria, proclaiming a caliphate. But the fight has further militarized Iraqi society, pushing young men into the armed forces and, increasingly, sectarian and tribal militias. This has raised fears of new outbreaks of violence once the caliphate has crumbled. Iraq's top Shi'ite cleric issued a fatwa in 2014, calling on all men able to carry arms to fight Islamic State, which is known in Arabic by its opponents as Daesh. On another Mosul front line, Counter-Terrorism Service commando Hamza Kadhem said that before Islamic State arrived, he was the only one of five brothers to have picked up a gun. "The others all joined after the fatwa," he said. They joined the Hashid Shaabi, or Popular Mobilisation Forces, a state-run umbrella that includes Shi'ite militias. Two are deployed west of Mosul, and another two near the Syrian border, where Shi'ite fighters have played a crucial role in cutting off Islamic State supply lines. Before the call-up, they had worked as farmers in the southern Kut region, more than 500 km (300 miles) away. As well as Shi'ites from the south, young men from around Mosul - where Sunni Muslims are in the majority - are also keen to fight. 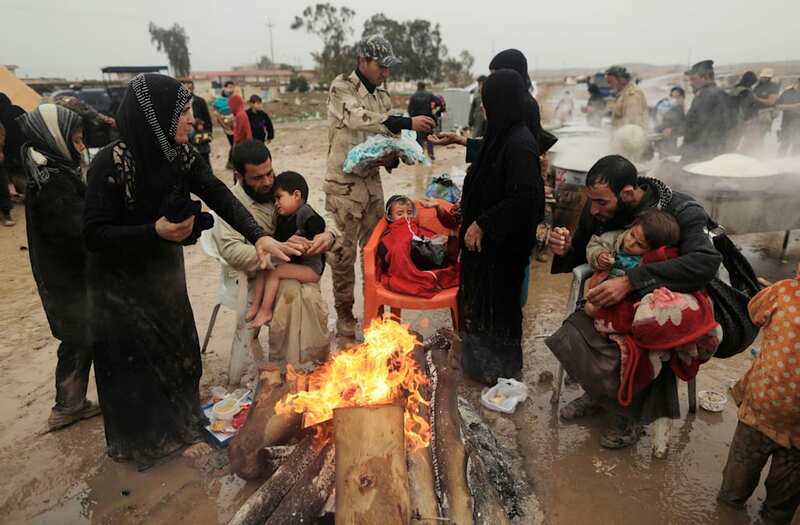 They are now flooding to join Sunni tribal militias also under the Hashid, security officials and militia leaders say. 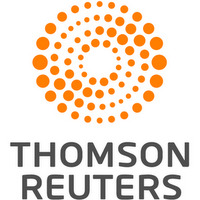 Many residents told Reuters in recent weeks they want to join, or know relatives and friends who are trying to do so. "Many men are volunteering in the Hashid groups. They either want to fight terrorism or to get wages," one security officer in the area said, declining to be named because he was not authorized to speak publicly. "It's easier than joining state armed forces. You just put your name down." He said the number of those seeking to join could be in the thousands, on top of the several thousand that local community leaders estimate are already in the Sunni tribal militias. This would not pose security problems because the Hashid ultimately answer to the government and have limited powers, the officer added. Provincial government officials, however, say the rising number of recruits to paramilitary forces and the formation of new militias is dangerous because it raises the risk of factional clashes. "These Hashid groups are subservient to the people who lead them, not to the state," said Abdul Rahman al-Wagga, a council member for Nineveh, of which Mosul is the capital. "So if a Hashid leader wants to impose himself in a certain region, and another sheikh or clan doesn't like it, they might attack," he told Reuters by phone. "I think after Daesh, these groups will not be reined in ... Their agendas are party, political or regional, and won't serve Nineveh, or Iraq." Ramzy Mardini, a fellow at the Atlantic Council think tank, said turning to armed forces, particularly militias, was inevitable in an atmosphere where local communities fear for their own safety. "Not only has the war further militarized Iraqi society, but there appears to be no pressure from the top or willingness from below to disarm, demobilize, and reintegrate the militias that now occupy the diverse and former insurgent landscape," he said. As Iraqi government forces have moved deeper into Mosul city, the areas around it have increasingly come under the control of the expanding Hashid, who fly their flags at checkpoints and have set up offices in nearby towns. Hashid officials say they are there to ensure Islamic State does not return, and that their local knowledge can make them more effective than federal police. "Iraq's security is our responsibility," read a slogan painted on a building outside Mosul that is occupied by the new office of a Hashid group, and was formerly used by an Islamic State fighter and his family. Most ordinary Iraqis, like the families of Jassem and Kadhem, do not want their sons to have to fight. But the young men see little choice after suffering at the hands of militants, and with few other ways to earn a living. Former policeman Yassin Saleh, 47, sat in his wheelchair on a roadside outside Mosul last month after fleeing violence. "Two of my boys, who are 20 and 21, want to volunteer for the Hashid," he said. "But I need them around to help me." Saleh lost both his legs to a car bomb planted by al Qaeda militants in 2008. Two months later, the fighters kidnapped and killed his eldest son. "There will always be revenge. If people have killed someone's dad or brother, they won't just let it go," he said. "But I can't lose another son."